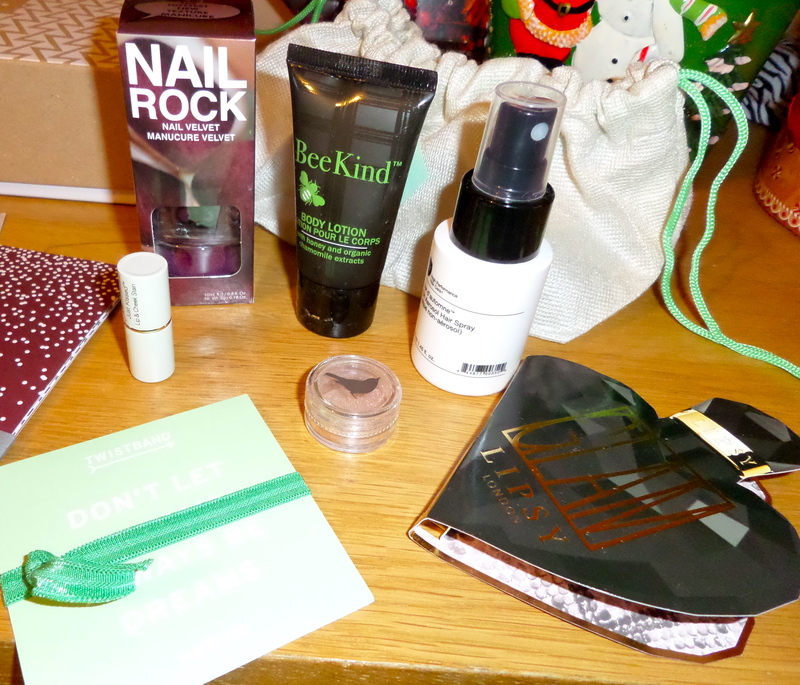 Today I Finally received My Long awaited Glossybox. I received my Dispatch email last week December Friday 13th. I normally get my box the next day always, but on this occasion it came 18th December 2013 few days later because of this lateness i knew what we would be receiving so i kinda knew what to expect. 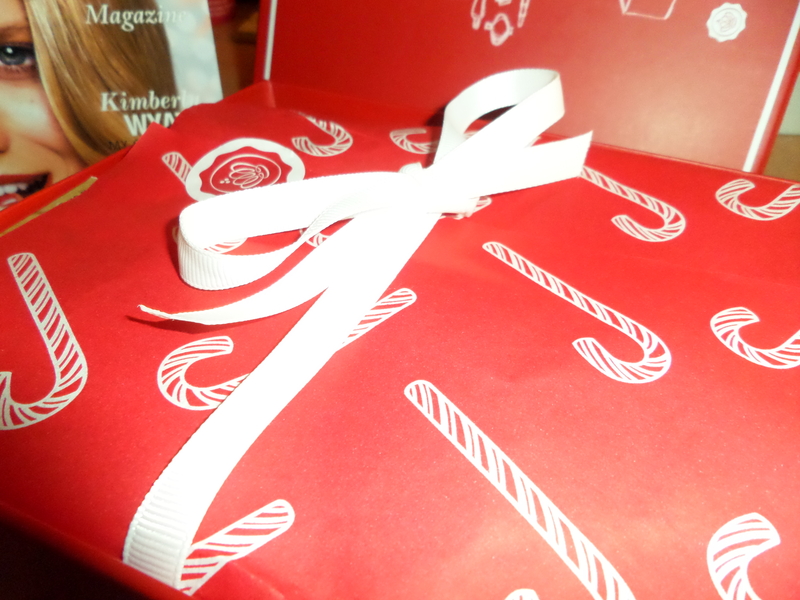 Inside the Box we had red Candy cane Design with green shredded protective paper. All wrapped with a white ribbon. Alot of other monthly Subscribers wernt to pleased with their boxes this month due to one canny item, (A Razor) But to be completely honest i was rather happy Love trying different shavers out there so cant wait to try it. Lovely box this month very pleased. Would of preferred maybe a different nail Polish colour, Maybe more festive one? Glitter/Red/White, but other than that it was a right treat this month. please share what you got this month in the comment bar below! 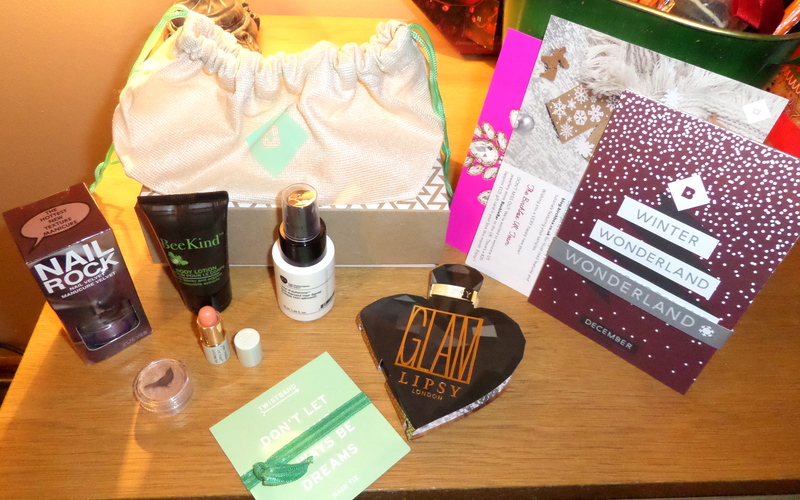 Glossybox is a monthly subscription Beauty Service that is £10.00 + £2.95 for p&p. 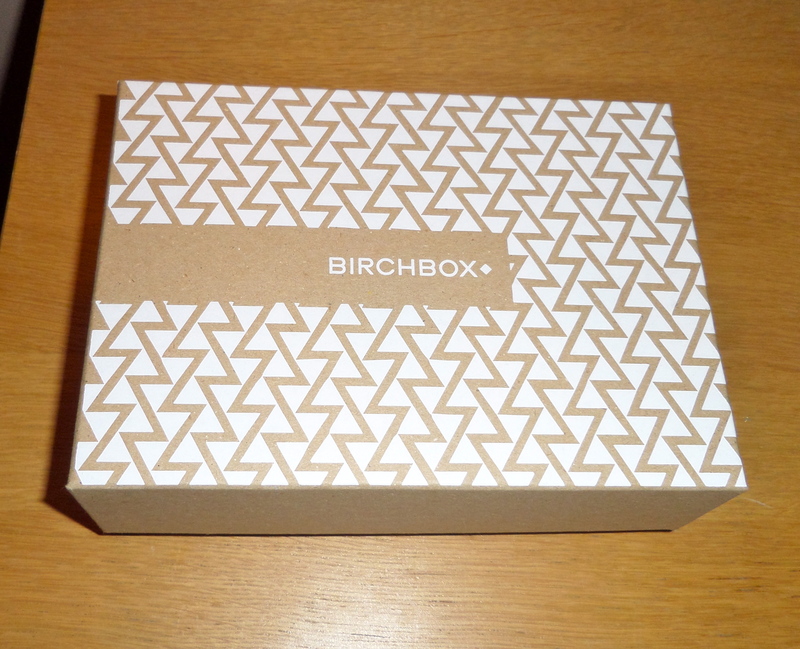 Today i received my Birchbox, on Decmeber Friday 13th 2013. The Box was presented a little different this time, rather than just a plain cardboard box with the words Birchbox written. Instead this month was a festive versions which looks like zig zags but could be christmas trees. Anyway i Loved it. As always you get your little stack of cards with lots of info on them for this months agenda. * NUMBER 4 Non Aerosol Hair Spray . Received a sample size of 43ml Full size is £18.50 but doesn’t tell you what ml it is on the card. For exsiting customers we got a $20 Gift voucher to use on their website But as delivery is $20 then on top of that Tax and duty fees that will need to be paid so i really don’t understand this free voucher thingy! not so free after all this is the only downside to this months box. But apparently BIRCHBOX is working with the company to find a resolution to this slight little problem. Overall im very pleased with this months box, Yeah some things could of been a bit bigger but, with the packaging, the presentation and the overall goodies its defiantly worth £10.00 that i paid for. well i think so anyway. Please let me know what you guys got and what your thoughts are on this months box. which is the last box for 2013.